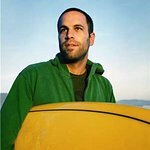 Just days prior to kicking off the second leg of his new tour, Jack Johnson has announced he is donating $70,000 to aid in the Gulf oil spill clean-up. The money has been pledged through the singer’s Johnson Ohana Charitable Foundation, with $30,000 coming from a direct donation and $40,000 in matching grants. Jack recently pledged all of his tour profits to charity through his All At Once Campaign. According to Jack’s official website, you can help by donating to All At Once partners such as Gulf Waterkeepers, Gulf Restoration Network, Louisiana Bucket Brigade, Ocean Conservancy, National Wildlife Federation, Surfrider Foundation, Galveston Bay Foundation, and Tampa Bay Watch. Your donation will be matched by the Johnson Ohana Charitable Foundation by up to $2,500. Ticketmaster is also auctioning off seats to the August shows with all auction proceeds going directly to the All At Once non-profit partners working on relief efforts in the Gulf. Click here for tickets. Visit SkyTruth.org to find out more.